To provide financial assistance to qualified persons to pay for funeral home, crematorium or grave site costs associated with the burial of deceased career jazz musicians. 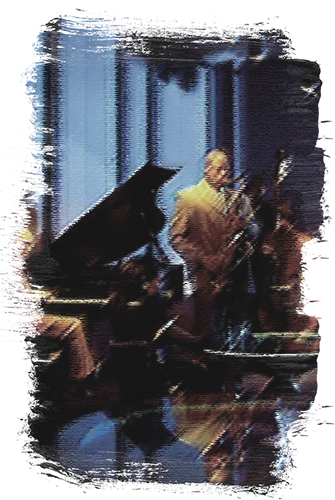 The Coda Jazz Fund is administered by the Greater Kansas City Community Foundation under the direction of an independent, non-partisan Advisory Committee consisting of community leaders and individuals that have a long-standing interest, commitment, and/or involvement with “jazz” in Kansas City. The Greater Kansas City Community Foundation acknowledged the establishment of the Coda Jazz Fund on January 24, 2002 as a charitable fund to provide financial assistance for the funeral and burial expenses of deceased Kansas City jazz musicians and vocalists. An advisory committee will oversee and administer fund contributions and review applications for potential financial assistance. Documentation of financial need is required for consideration along with certification of “career musician status”. All charitable contributions will be acknowledged. Those persons or organizations contributing $250 or more will receive a tax-exempt “Thank You” letter from the Greater Kansas City Community Foundation for their donation to the Coda Jazz Fund.